The business world experiences insurmountable changes even to the smallest detail on an everyday basis. It’s safe to say that we’re at the height of the digital age and your medical practice must follow suit in order to maximize revenue and onboard new clients in order to increase your online presence both on a local and more widespread scale. With the market rapidly evolving, you must keep up with the latest trends to improve the overall success of a business. One of the most crucial elements of digital marketing lies within the domain of search engine optimization, or more commonly known as SEO. Here are ­­five SEO tips for you to implement into the regular operations of your medical practice’s digital agenda. A large determining factor in search engine results typically relates to location, especially amongst local businesses. The local presence of a medical practice or healthcare provider will influence their clientele based on their location and where the prospective patients live. Optimizing for local searches improves your practice’s ranking results when people search for things such as “medical practices near me” and other variations of the sort. If your practice is listed high on search results, this can directly impact potential phone calls and physical visitations as well as increases in digital traffic. Some SEO tactics to amplify local relevance online include optimizing online directories, citations, online reviews and claiming Google My Business accounts – since Google is the most popular search engine. High quality links that have optimal relevance to your site should be obtained to improve SEO results. In short, your website’s authority determines the priority of how search engines will rank you – the higher authority, the more keywords will be acknowledged and rank. Acquiring links from other valuable sources of content can direct consumers to more useful content available on your own site, which is taken into consideration by search engines. SEO best practices advise that inbound links are crucial to ranking for designated keywords, but remember to not over do it and keep quality over quantity in mind. In regards to your medical practice’s SEO, it’s important to know what patients are searching for. This will allow you to select keywords that make the most sense to utilize and implement throughout your site for search engines to see. Keywords need to be related to your specialty otherwise you’ll be reaching out to the wrong audience. You must understand which keywords are currently performing and build up your density, or database, from there. Keeping up with the times is crucial and having a mobile friendly site is a great place to start, let a lone a “must-have.” A majority of online searches are performed on a mobile device – and to benefit sites that make efforts towards user experience – Google recently released a mobile-first index. This means that if the healthcare information you provide on your website is easily accessible without any obstruction on a smartphone, the pages of your practice will be favored and rank higher than those lacking efficient mobile-friendliness. Content is the central driving force of what engages and draws visitors to a website. Uploading and continuously updating unique content will provide an SEO domino effect that works in your favor. Great content attracts visitor and the more visitors you have will raise your ranking authority. This allows the search engine to value your website over another by accurately matching the correct keywords with great content. Many factors come into play here, but the best SEO friendly ways your medical practice can improve rankings include content pieces such as blogs, white papers, videos, infographics and other interactive pieces of your choice. 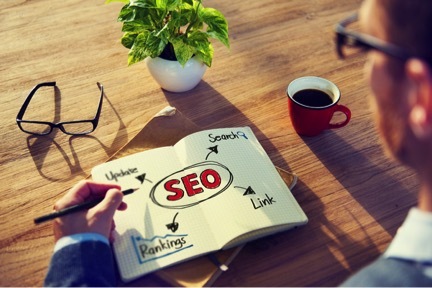 Adopting, absorbing and understanding the terminology and techniques behind SEO into a medical practice on your own may not be the most simple of tasks. With the help of HIS, we can take matters into our own hands. A valuable partnership with HIS gives clients the opportunity to receive full digital marketing services from our expert practice management and consulting staff. We’ll oversee the entirety of the practice’s marketing endeavors with SEO as part of the primary focus. Contact HIS to learn more about our full list of services and see how we can improve your business today.